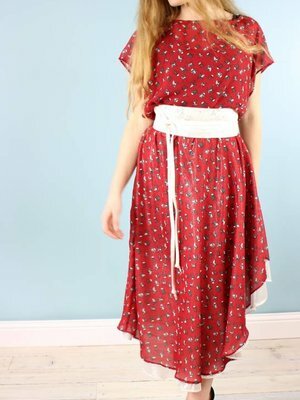 The Zelda dress by Sarah Bibb is a perfect and easy dress to wear for all occasions. Deep dolman cut sleeves and extra blousy bodice. 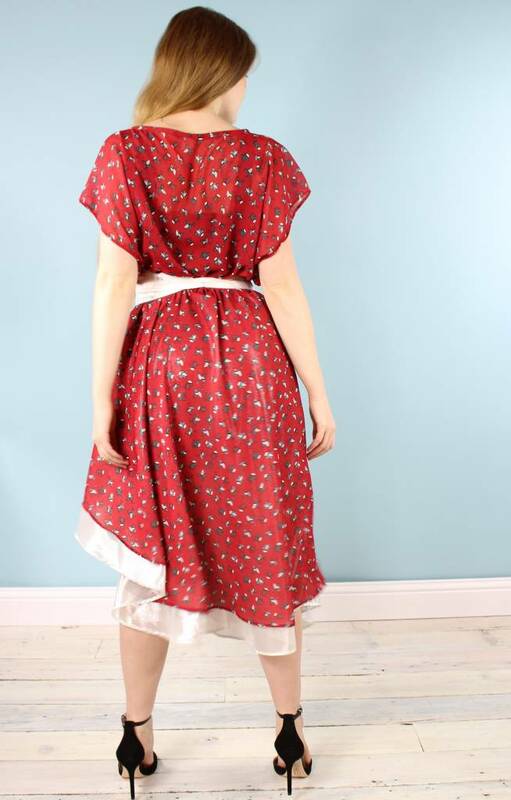 Looks great with the sash or for extra drama and finishing touch try and OBI belt! Romantic and flowy with an asymmetrical hemline. The short side is just above the knee and the long side is mid-calf. 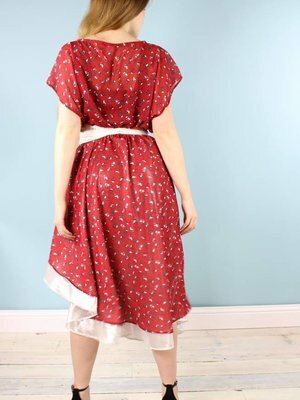 (the double skirt Nora's are approx 3" longer). This dress is light and works on most body types. S/M fits 2-8, M/L 8-12. 100% Poly, 100% Silk lining. Dry Clean. Pair with an AVA or ERIN Slip. 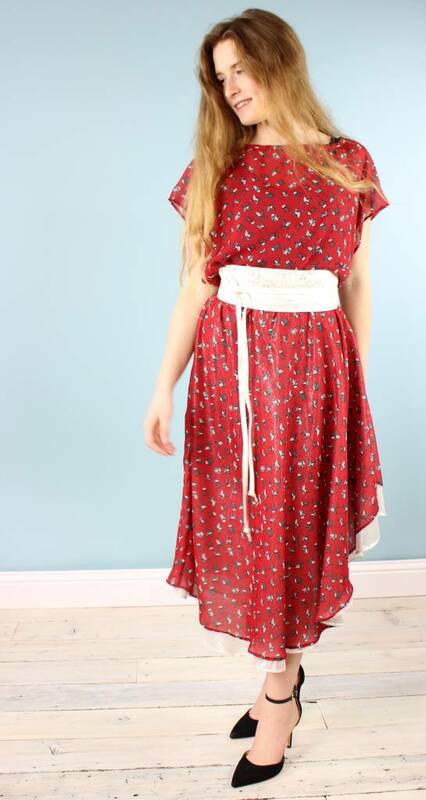 ** Shown with an OBI Belt... this dress comes with a sash in "birdy"